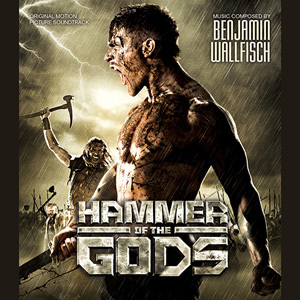 Getting its VOD release on May 28 and theatrical premiere on July 5 in USA, British Viking action adventure Hammer of the Gods is an intense epic about a young man who transforms into a brutal warrior searching for his lost brother. Directed by newcomer Farren Blackburn, who has been involved in television series such Doctor Who, Luther and Survivors, the film features an edgy and modern score composed by Benjamin Wallfisch, the composer of last year’s adventure score Conquest 1453 and The Escapist and the orchestrator/conductor of Oscar-winning score Atonement by Dario Marianelli. Influenced by acts such as The Prodigy and Skrillex, Wallfisch has created a unique and challenging action score filled with adrenaline rushes and pounding excitement! Our CD and digital release co-incides with the US release of the film. What is not to like... it looks and sounds Awesome, period! The music is so good I thought I was watching Game of Thrones!